After many (mostly) delicious and nutritious experiments with leavening lentil flour to make bread, this is by far the best result. One of the ingredients, methylcellulose K4M, might seem a little unorthodox, but it makes all the difference. 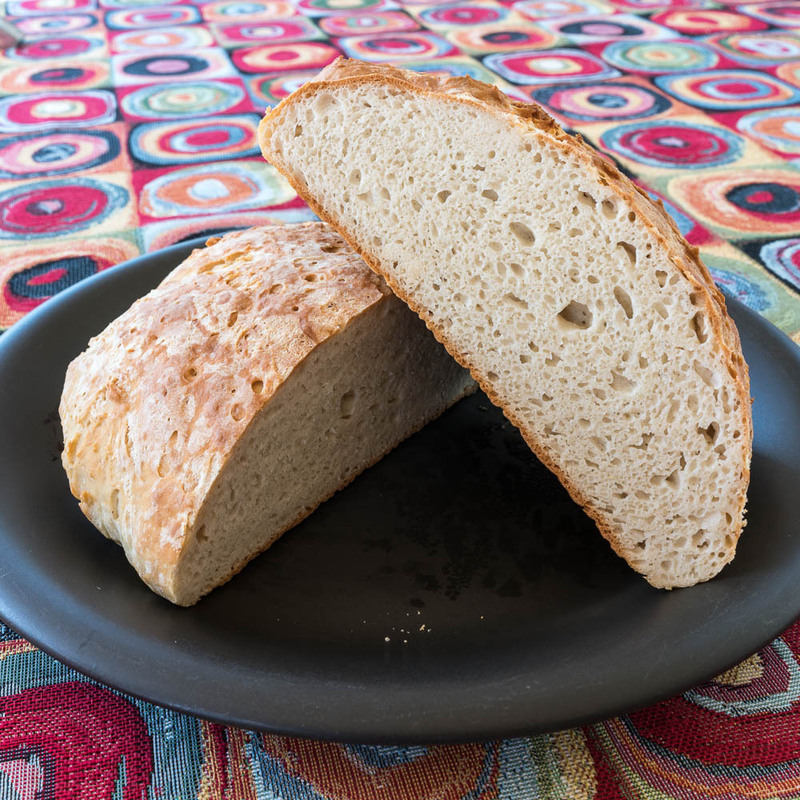 Methylcellulose, better known as Metamucil, has different gelling properties at different temperatures, enabling it to capture yeast bubbles to let flours that normally wouldn’t rise well, hold onto the gas and lift higher. Different types of methylcellulose have different properties, and K4M is the one that works best for gluten free baking. One of the important steps is proofing overnight in the refrigerator. In wheat flour recipes, overnight refrigeration enhances the flavor, in lentil flour recipes, the yeast breaks the stronger flavor down and makes it taste much better. Pour the gel onto the flour, and then the yeast on top of that. Mix until everything is incorporated. It will be sticky. Cover with cling film and let rise until doubled in size. Line your baking vessel with parchment paper and scrape the dough out of the bowl and into the baking vessel. Shape the dough with a spatula, then cover with cling film and refrigerate overnight. Heat the oven to 350F and transfer the dough directly from fridge to oven and bake until golden brown. Let the bread cool completely before slicing with a good serrated knife.